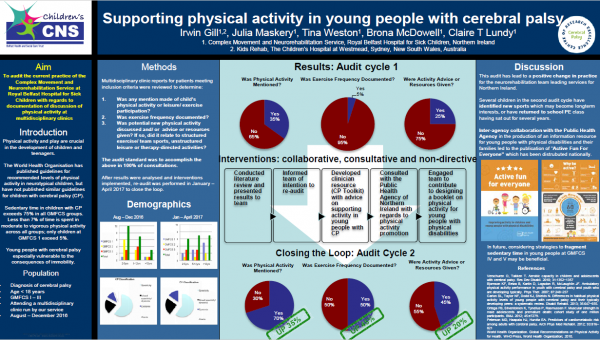 The AusACPDM is pleased to present two of the top posters from the 2018 AusACPDM conference held in Auckland – congratulations to the authors and thank you for sharing your excellent work with us. 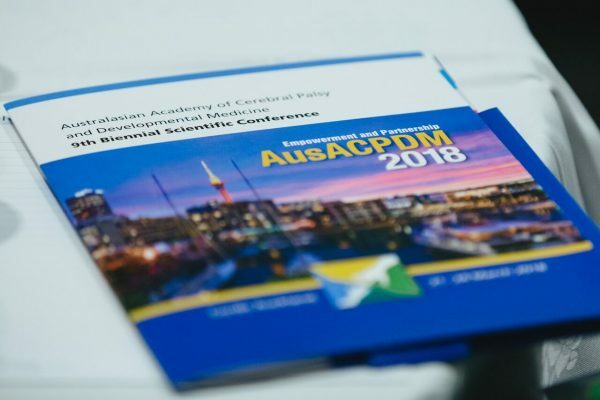 We are proud to share these with the AusAPCPDM community. For more information on this project, the full booklet developed in partnership with the Complex Movement and Neurorehabilitation Service of the Royal Belfast Hospital for Sick Children is available here. 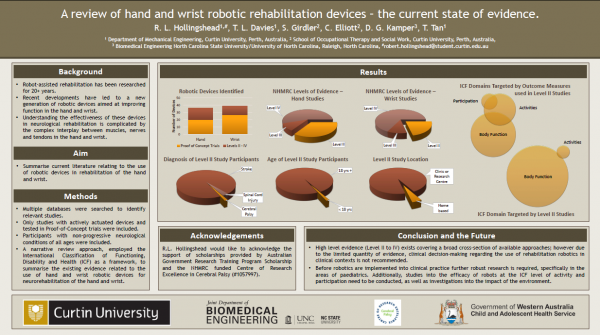 A review of hand and wrist robotic rehabilitation devices –the current state of evidence. Authors: Luke Hollingshead, T Davies, Catherine Elliott, Sonya Girdler, D Kamper & Tele Tan.